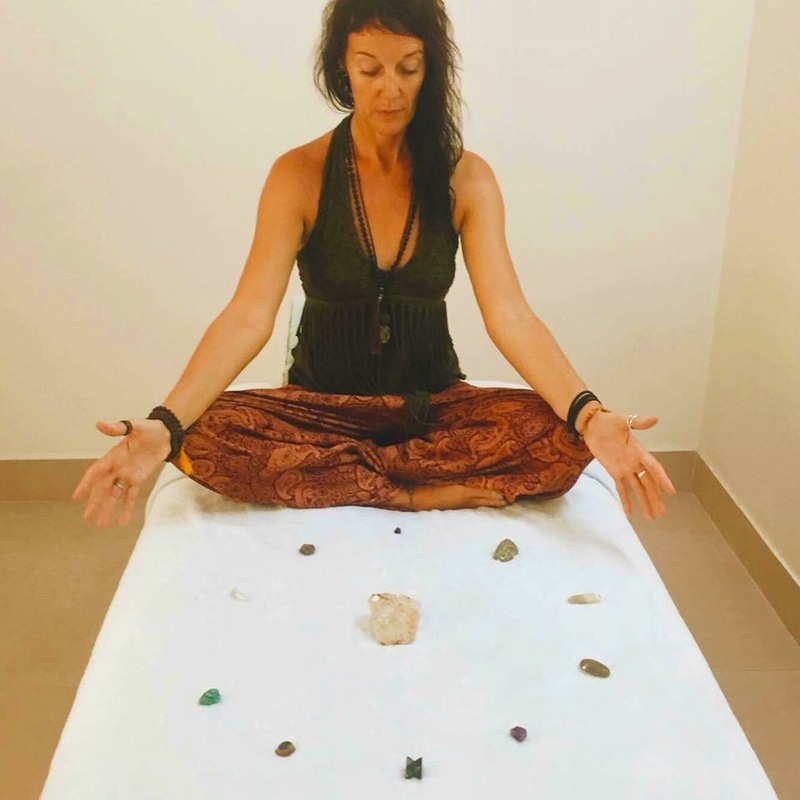 I like to combine all my knowledge, expertise & experience from the therapies listed, into an intense Healing session, tailored to specific and individual needs, after a consultation. On a physical level, I work through the Four body system, balancing the Etheric, Emotional, Mental & Spiritual layers, the Aura, Chakras & Nadis/Meridians, gently manipulating acupressure & marma points, ESR, NVR, NLSR, MR, working Multidimensionally with my many Guides, to tune into & read your energy, & work on clearing anything I pick up as I channel. I work through the physical, astral & spiritual bodies to restore balance in all areas, leaving you feeling peaceful, healed & restored on all levels, & I will feed back to you anything I pick up during the healing, & advise accordingly to guide you onto the right path necessary for your transformation. Remotely, I work as above, but without your physical presence, as this enables me to go deeper in to your Soul & Akashic records – the sum of your past lives, & heal on a deeper level. With Ancestral Healing & Journeying sessions, I guide you to go deeper back to source, to understand your origin in order to heal on many levels. These remote sessions are very powerful, so be prepared for huge shifts & changes. Contact me via WhatsApp +66 944907275 to book a session from the comfort of your own home at a time to suit you. Many illnesses and diseases have been scientifically proven to be caused by anxiety & stress, holding on to negative emotion & trauma, nutritional deficiencies and consuming products that are toxic for the human body. Although genetics may play a small part in transferring some diseases from parent to child, the body has an incredible capacity to restore and heal itself if given the right tools & correct environment. With the many variations of alternative and progressive medicines now available to us, and with the intense planetary changes and global shifts now taking place raising the worlds’ consciousness, there has never been a more significant time for healing and transformation. It is vitality important in this fast paced & toxic world to give yourself the time and space your soul needs in order to grow. We can achieve this through Meditation and gentle energy nurturing exercise such as Yoga and Qi Gong. It is of equal importance to honour the physical body by consuming the correct foods and stress free environments so that we can restore peace & equilibrium thus preventing unnecessary illnesses and disease. WHY DO I NEED HEALING? The following is a chapter from my ebook, available in Shop. ‘Many of us lose our way at some point in our lifetime, and we often neglect our health and become ill because we are so wrapped up in looking after our loved ones or career-focused, that we forget how to look after ourselves. Our Soul holds the sum of all our thoughts and actions and stores it within our subconscious mind, and this is the reason we repeat the same negative patterns over and over, until we can either learn the lesson, or clear the karma. Unfortunately, there are things on a material plane that we cannot control or change. We can only improve and change ourselves, change our attitude, become observant of our thoughts. Choosing a spiritual or transformational path helps our physical self to become connected with our higher self, our higher intelligence, and as we become more enlightened and awakened, we naturally choose to become healthier, happier and begin to really enjoy life and learn from the many lessons it brings, ultimately changing the way we react to situations, and thus causing a ripple effect of mutual and unconditional love and peace. For every action, there is a re-action. This is the law of Karma. I want to help you to have an understanding of the power that lies within you, and the power of understanding yourself in making the changes you desire. When you take the time to turn inwards, through solitude, self study and introspection, you have access to the greatest power of all, wisdom, the power of understanding and of loving yourself. Without that knowledge, without having the love and compassion for yourself, how can you love others and how can others love you in return. We must start with loving and understanding The Self, The Divine. I am qualified in the following Therapies. Reiki Master Teacher, Crystal Healing, Kinesiology, Quantum Touch, Chakra & Aura Balancing, DNA ThetaHealing, Thai Yoga Energy Healing Massage, Akashic Healing, Regression Therapy, Meditation. To assist you in facilitating the self healing process by tuning in to your higher self in order to deepen your intuition and connection to the higher intelligence. Working on journeying into the Divine Feminine to assist your ascension process as the planets send us light rays to raise our vibrational frequencies into 5th & 6th dimension. Tailored and personalised specifically for you to reach your desired intentions and goals. Reiki provides an over all sense of peace and tranquility, allowing you to have clarity and mental focus on all levels. Using crystals to enhance and intensify the healing process and balance the astral body and chakra system, this beautiful therapy helps to treat depression, anxiety, stress, insomnia, emotional problems, fatigue, mental and physical pain and blockages, many chronic illnesses and diseases, arthritis, digestive, intestinal, musculoskeletal problems and skin problems such as psoriasis, eczema, and also fibromyalgia. Reiki provides a general feeling of having been healed on all levels. I highly recommend this therapy to anyone whatever their symptom/problems, or just as a get away as it is such a beautifully relaxing and natural modality. Can be used alongside other therapies and medications, as it is harmless. An intensive Vibrational healing, using the Reiki energy and working on all seven layers of the Aura and the relating seven chakras – the Etheric Body, Emotional Body, Mental Body, Astral Body, Etheric Template, Celestial Body, to the Ketheric Body, on a multidimensional level, clearing karmic situations & traumas stored within the subtle body, from past lives, as well as healing & clearing blockages created in this life through mental, physical and emotional traumas. This therapy is very intense so is only advisable if you have previously had any form of energy healing. I also use crystals to assist in balancing the chakras and to accelerate the healing process. Quantum Touch is another variation of vibrational energy healing using the power of breath and the laying on of hands to specific areas of pain or trauma within the physical body. Kinesiology is an ancient Chinese therapy working on the meridian vessels to channel the chi, life force energy, through the pathways into the internal organs, the lymphatic and endocrine systems, thus restoring balance on all levels. The therapies combined together help to treat many musculoskeletal problems such as arthritis, joint problems such as knee, frozen shoulder, tennis elbow, scoliosis, fibromyalgia, ME, back problems as well as many mental and emotional imbalances. First of all I will start by gently looking at & realigning the spine (no pain is suffered by the client to do this therapy as it is gentle laying on of hands) and testing the muscles using gentle muscle testing techniques, as many aches and pains are caused by spinal & meridian imbalances & blockages. Blockages in these areas prevent the vital energy, chi, flowing through the physical body into vital organs, which results in fatigue and may lead to disease if left untreated. I will assess the treatment on your visit after a free consultation. 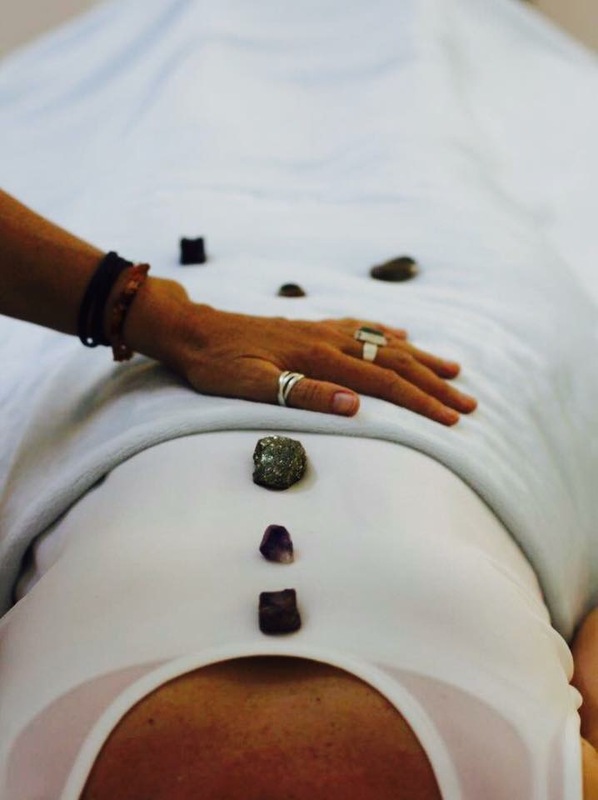 I also bring the Reiki energy in to this therapy before I finish to promote a relaxing and peaceful end to your session so you leave feeling very relaxed, healed and at peace. 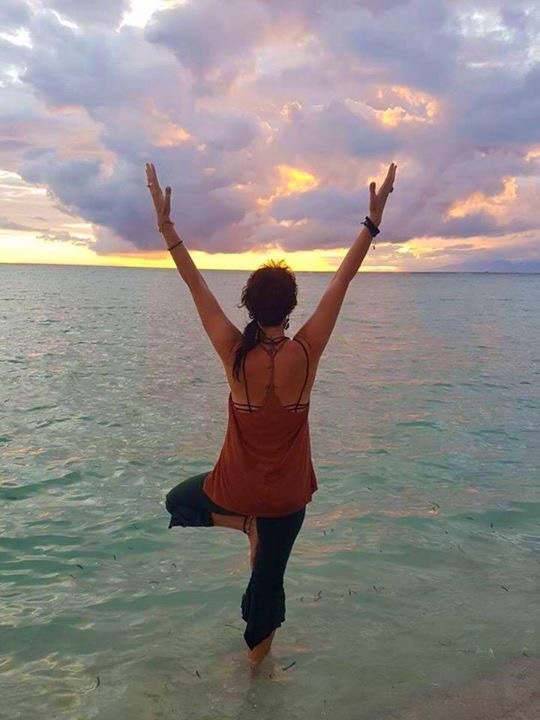 A beautifully relaxing combination of Thai Yoga, Indian Head & Reiki Massage using essential oils or remaining fully clothed on your preference, whilst relaxing in a massage chair or couch or on a mattress on the floor. This is a gentle massage of the legs, arms, back, shoulders, neck and scalp including acupressure points, & chakra balancing, releasing any energy and fibrous blockages within the fascia, stretching & aligning muscles & ligaments, and balancing the key chakras and aiding any muscular aches and pains. This treatment is very relaxing and perfect for people sat in front of a computer all day as you will be left feeling relaxed, pampered, totally cocooned in love yet energised and uplifted.